And he did say that! On the 23rdof January 2019, in front of his mob of supporters in Caracas. This amounts to a declaration of war. 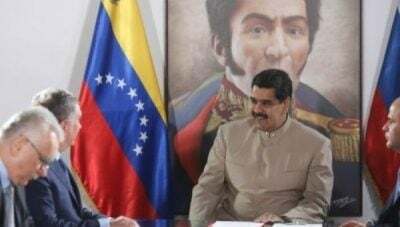 The US refuses to recognize the sovereignty of Venezuela. It reserves the right to tell the Venezuelan people who their realpresident is! It only recognizes its own, supreme control over the hemisphere and the Planet, showing spite for international law.